Here we go, assuming you want to change the MAC id for eth0. Engineers often need greek character while working with various programs . You can set up a second keyboard layout to switch between normal english and greek characters. System -> Preferences -> Keyboard, then select Layouts Tab. You will see a diagram showing the new character set. Click [Add] then [Close]. On the main panel (near the date?) you should see an icon showing the current keyboard layout. Click this to change layouts then υοθ σηοθλδ βε αβλε το τυπε ιν γρεεκ. You can also change your regular keyboard to use say "USA International (AltGr dead keys)". AltGr=Alternate Graphics=[Right Alt]. Some keys have 4 characters. Access the extra characters by pressing and holding the [Right Alt], then you can type þ & §. 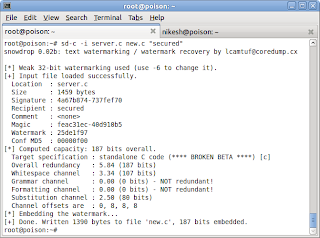 The traditional watermarking relies on embedding some information in a binary file (such a proprietary format doc - Adobe PDF, MS Word or multimedia files to identify the origin of a particular copy. Watermarking can be combined with steganography to hide this data from a casual viewer. Snowdrop is intended to bring (relatively) invisible and modification-proof watermarking to a new realm of "source material" - written word and computer source codes. The information is not being embedded in the least significant portions of some binary output, as it would be with a traditional low-level steganography, but into the source itself. * leaks can be identified if the data goes public. 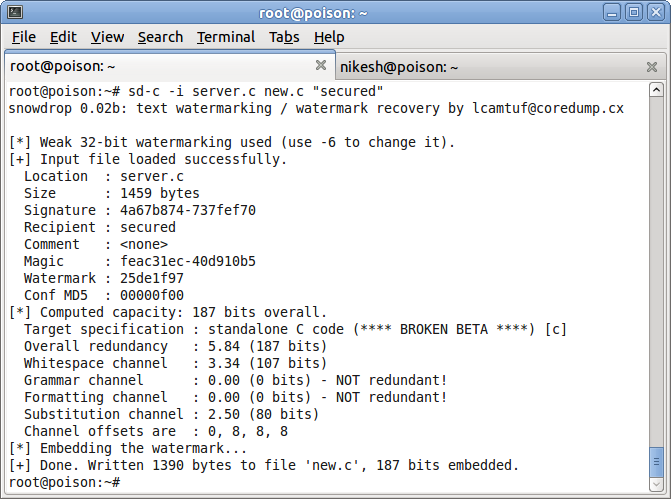 sd-c -i input.c output.c "secured"
Now, to extract or compare the watermark, use the following command .. Install the following files via apt or software centre. 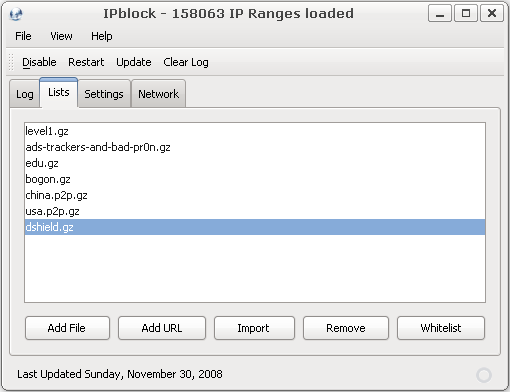 This article describes how to block lists with a graphical front-end called IPblock. No knowledge of networking, firewalls or command-line configuration are needed. 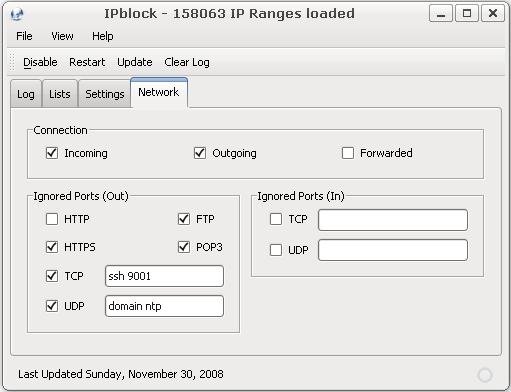 Due to the way IPblock works it doesn't change the behavior of existing firewalls which makes it compatible  with other firewall applications like ufw, shorewall or fireHOL. This howto is intended for Beginners and was tested on Ubuntu Feisty, Gutsy, Hardy, Intrepid, Jaunty and Karmic (32-bit and 64-bit). There is also another way to import the key. You could save the pub key to a file and import it through System->Administration->Software Sources->Authentication->Import Key-file. 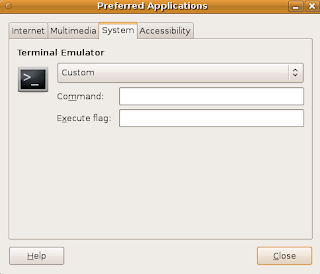 Note: If sun-java* is installed by gdebi it requires to open the terminal part of gdebi and accept sun's license agreement. Packages for Feisty and Gutsy can be found in the 0.19 release. 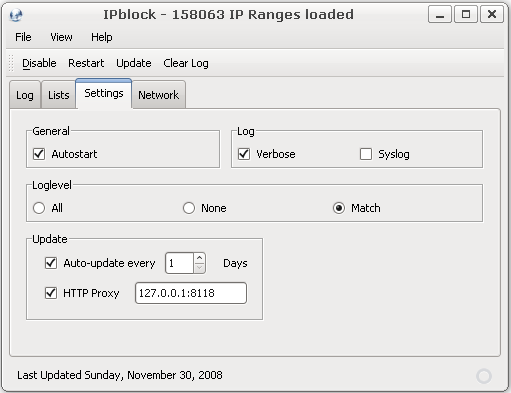 After the installation IPblock can be found in Applications -> Internet -> IPblock. The default choice for lists is similar to PeerGuardian. These lists are maintained by www.bluetack.co.uk (list descriptions). Custom p2p or dat lists can easily be added. Note that lists can optionally be compressed with gzip. The URL file /etc/ipblock.lists contains list descriptions. All options can be configured in this and the network tab. Auto-updating lists is important and the default choice of 2 days is reasonable. Using out-of-date lists is not recommended. To ignore outgoing network traffic like HTTP or EMAIL (pop3) use the ignored ports section. Note that http and dns (domain) is ignored by default. The connection-settings specify which type of connections should be filtered. Lanunch Gnome terminal. Click on Edit -profile preferences.. A window will pop up. click on Title and Command. Tick the button against Run a custom command instead of my shell. Set byobu as the custom command. The screen shot explains it all. Change the terminal emulator to custom and enter xterm as the command to be executed. TrueCrypt is Free open-source disk encryption software for Windows XP/2000/2003 and Linux. If you are paranoid about your data being stolen and misused, truecrypt is your friend. Some of the important features of truecrypt are as below. 1) It can create a virtual encrypted disk within a file and mounts it as a real disk. 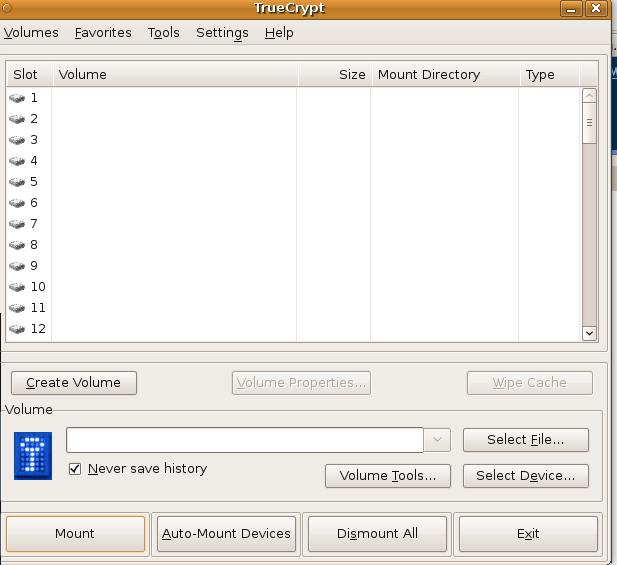 2) Truecrypt can encrypt an entire hard disk partition or a device, such as USB flash drive. 3) Encryption is automatic, real-time (on-the-fly) and transparent. b) No TrueCrypt volume can be identified (volumes cannot be distinguished from random data). http://www.truecrypt.org/downloads. For linux hosts 32bit and 64 bit code are available . Also you can find console only code. Now if you look in your directory a file named truecrypt-7.0a-setup-x86 will be present. You can install truecrypt by executing this file as follows. Now a window will pop up as shown below. You can start up truecrypt from a command prompt as below. Truecrypt screen will pop up as shown below. You can look at the documentation at http://www.truecrypt.org/docs/ for using truecrypt . Since Ubuntu 9.04, the Ctrl-Alt-Backspace key combination to force a restart of X is now disabled by default, to eliminate the problem of accidentally triggering the key combination. In addition, the Ctrl-Alt-Backspace option is now configured as an X keymap (XKB) option, replacing the X server “DontZap” option and allowing per-user configuration of this setting. As a result, enabling or disabling the Ctrl+Alt+Backspace shortcut can now be done easily from the desktop. * Click on “Regional & Language”. * Click on “Enable keyboard layouts” (in the Layout tab). * Select the “Advanced” tab. Then select “Key sequence to kill the X server” and enable “Control + Alt + Backspace”. Your computer will then say “test”. If you want to make your computer speak in complete sentences as below. $ spd-say “ hello how do you do ?" I for got my mysql root password last week. , you can reset your mysql root password. You will get Mysql Prompt. Begin by determining where you want your repositories to reside. You'll need plenty of drive space. Just as an example I'm mirroring Ubuntu 10.04 Lucid Lynx; 32 bit, packages only - no source code, all repositories and I'm using almost 40 gigs of space. I'm using my mirror as the example for this tutorial and assuming your mirror will be used internally, not offered as an official mirror. System – Administration – Synaptic Package Manager. Searching for apt-mirror then apache2 will give you the packages you need. This can also be done without the terminal by opening each file in your chosen text editor (gedit for example) and choosing “save as” to place the backup copy in your home folder. Now edit the files. The examples use nano, but gedit can also be used by invoking it within a terminal using gksudo. The config section of the file should not require any editing. You can also remove or comment out the lines dealing with source code if you don't expect to need or use them. You can always add repositories later if you want. The time it takes to populate your mirror after adding something is less than the initial population of your mirror, so you can start with the minimum and add more later as the need arises. Now you can run apt-mirror for the first time. You might want to wait on this step since it will take a while for your mirror to build, overnight for example. Also note that apt-mirror should be run as the user apt-mirror. You'll see it working, but it will appear slow. NOTE: Only the first entry is necessary if you don't add or modify repositories. and remove the comment from the last line. Edit the sources.list file that will be used to access the mirror. The example below assumes using the mirror from the computer that hosts it. Using it from other computers on the network simply requires changing the IP address from 127.0.0.1 to whatever IP address is assigned to the mirror host.